With Mother’s Day fast approaching, no doubt you’re looking for ways to show Mum that you’re thankful for all she’s done. If you’re past the stage where giving her breakfast in bed or letting her sleep in are enough to blow her away with your thoughtfulness, consider these nine ideas. Has she mentioned that there’s something on her to-do list that she never seems to get to? Whether it’s lawn care or getting things put up in the attic, give her a few hours of your time and make sure it gets done right. Take her out to lunch, the movies, or whatever her preferred activity is. But try to make it a little more special than an average outing and give her the opportunity to get dolled up a bit. Purchase time with a masseuse or at the spa. If you’re not sure what she’ll prefer, get a general gift card that can be used for anything. Even if you’re not super crafty, you can still create a scrapbook. Gather up some of your favourite images and piece them together by hand or opt for a digital variety. Mums are undeniably sentimental, even when they try to keep a stiff upper lip. Spend some time writing out a thoughtful letter that tells her what you appreciate about her the most. If your mom has everything she could ever want, consider making a donation in her name to her favourite charity. If you’re not sure which one she’d prefer, you can ask or propose a few you think she’d like. Does your mom like to host? Give her all the glory of hosting a gathering for her friends, without doing any of the work. Take care of setting up, the food, the entertainment, and anything else she usually does, so she’s free to focus on her guests. If you mum is struggling to use new technology, be it a phone, computer program, or even the DVR, write her a no-nonsense guide that teaches her how to use the features she’ll want to use the most. Don’t be surprised if she asks you to make them for the other gadgets around the house too. Blooms are the traditional Mother’s Day gift. When you send Mother’s day flowers from Bloom Magic, you can be sure your Mum will be able to enjoy them for a full week. Plus, we offer same-day flower delivery Dublin and next-day flower delivery Ireland, so it will always appear as if you put lots of thought and consideration into your gift, even if you didn’t order until a day or so before the big day. 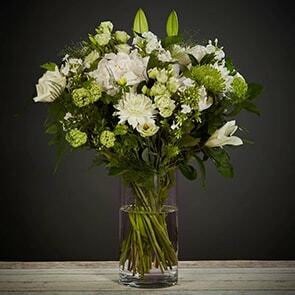 Search by type of flower or check out our wide selection of Mother’s Day flowers now.